When the awful news broke on Christmas Eve 2016 that legendary rocker Rick Parfitt had passed, fans around the world were devastated that one of rock’s most iconic performers had been silenced. However, unknown to almost anyone, Rick had in fact virtually completed his first solo album whilst undergoing a period of recuperation after his heart attack in July. That album, poignantly titled ‘Over And Out’ will now be released on 23 March 2018 through earMUSIC. Despite the fact Rick Parfitt had finished recording his guitar and vocal parts, a recording session was planned to happen in February 2017. Certain tracks were not totally finished when Rick died. The call to help ensure that his work could be completed, so that the world could hear it was answered by musicians of the calibre of Queen’s Brian May and Muse’s Chris Wolstenholme, both of whom were close to Rick. Rick’s son, Rick Parfitt Jnr, was also involved in the creative process, as were John “Rhino” Edwards and Alan Lancaster, amongst many others. 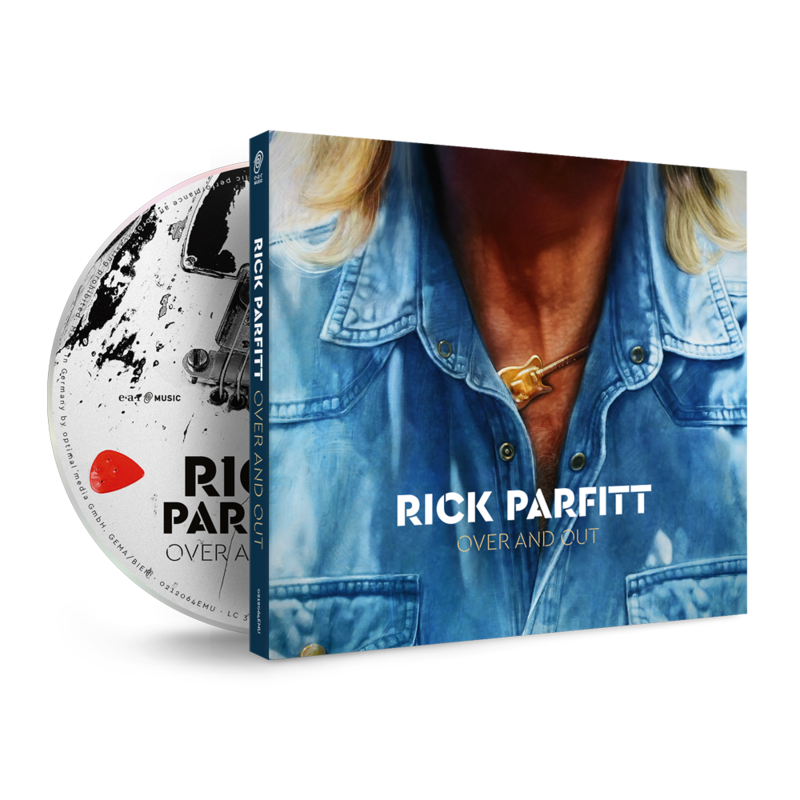 All of those involved in completing the songs that Rick had written for ‘Over And Out’ have done him proud in bringing his vision to fruition. Rick´s music always featured two elements - the raw rock and roll sound and a great passion for melodies. “Over And Out” offers the best of both worlds: It has been recorded and written with a band´s spirit between Rick and Jo. They shared various mixes, reflecting the sound of the sessions and the spirit that was present in the “room”. The album has also been mixed by top producer Ash Howes, offering a different view on the songs but also leaving a dilemma open for interpretation, which one would Rick prefer? The polished, big sounding mixes or the original band mixes, raw and full of musical honesty? Those who were close enough to him over the years would probably say… “both”. This is why the album will be available in its “finished” form, but also as a raw and pure version, for the fans of the rockier side of Rick´s music in special collector´s editions.